One of the original resorts, this modern timepiece provides views of the Magic Kingdom and smooth rides on the iconic Monorail. Arcade games are back at the Contemporary Resort next week. The three night event will feature Toy Story characters and a buffet dinner. Walt Disney World will offer three religious services for 2018. 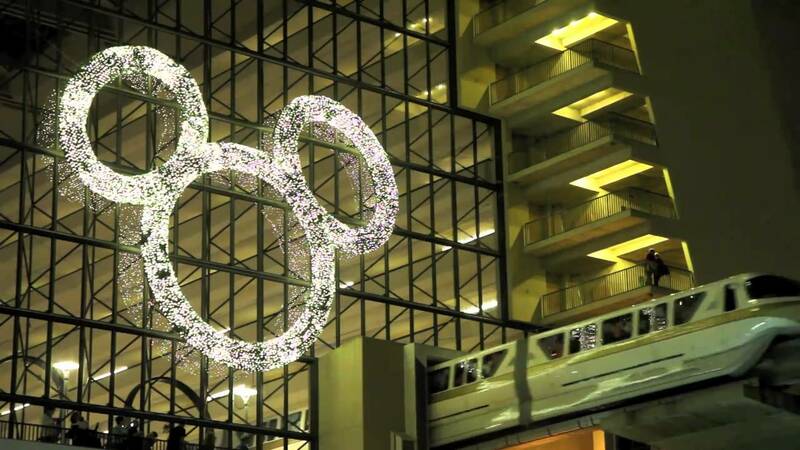 Two New Year's Eve celebrations will be held at Walt Disney World's Contemporary Resort. Backdrop to Magic Kingdom Tomorrowland is the ultra-modern landmark, Disney’s Contemporary Resort. The 14-story, A-frame resort is like no other in the world, with a monorail that runs through the cavernous lobby atrium. Since its 1971 debut, Disney’s Contemporary Resort has been updated with curved linear shapes, and vibrant colors, textures and designs. Indirect lighting opens up the space and sets a mystical, modernistic mood. Counter service featuring flat breads, burgers, and sandwiches. Located on the Grand Canyon Concourse - 4th floor. Counter service coffee featuring lattes, flavored coffees espresso, and pastries. Located on the lobby level- 1st floor. Pool side snack bar featuring beverages, burgers, and snacks. wine and cocktails. Located inside the Wave on the first floor near the lobby. Character dining buffet featuring Mickey, Minnie, Donald, Goofy, and Pluto. Advanced dining reservations are recommended. Located on the Grand Canyon Concouse- 4th floor. American style breakfast, lunch featuring sandwiches, burgers, pasta, and salads, Dinner featuring chicken, steak, seafood dishes, and pick and mix desserts. Located on the 1st floor near the lobby. Advanced dining reservations recommended. located inside the California Grill on the 15th floor. Full service bar. California cuisine served 15 stories above the Magic Kingdom, featuring seasonal menus which can include flat breads, sushi, goat cheese ravioli, pork tenderloin, and creme brulee. Check in is on the 2nd floor. The California Grill is a signature dining location and requires two table service credits on the Disney Dining Plan. Advance dining reservations are strongly recommended. Proper attire is required. Men: Khakis, slacks, jeans, dress shorts, collared shirts. Sport coats are optional. Ladies: Capris, skirts, dresses, jeans, dress shorts. NOT permitted in dining room: Tank tops, swimwear, hats for gentleman, cut offs, or torn clothing. While t-shirts are now allowed, the policy remains that t-shirts with offensive language and/or graphics are not acceptable. Fireworks policy: Guests who have dined prior in the evening may return to California Grill to view the fireworks. Guests will need to present their receipt from dinner to gain re-entry to the restaurant. Olympiad Fitness Center: Open 24 hours, attendant available from 6:00am-9:00pm. Massage, facial, and body treatment services available. (10am-5pm) Boston Whaler 170 Montauk, Sun Tracker pontoon boat, or Sea Raycer by Sea Ray, sailboat, kayak, or pedal boat are all available for rent at The Boat Nook on Bay Lake. A 1.1-mile trail around the resort. Located along Bay Lake. Swimming is not permitted. Water Taxi: (6:45am-11:30pm) Water taxi to Fort Wilderness and Wilderness Lodge located in the rear of the resort on Bay Lake. This service may be interrupted due to inclement weather. Walkway: The Contemporary is located within walking distance of the Magic Kingdom.